Before we start: I didn't realise this, but sausage rolls aren't really a thing in the US, apparently. 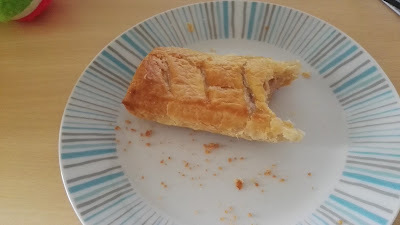 If you're not familiar with this delicacy (essentially sausage meat cooked and encased in puff pastry) you may wish to do some brief research. I welcome any and all Americans - and other nations - to discover the sausage roll. And if you like the sausage roll, just wait till you have a yum yum. I've been to the bakery today. 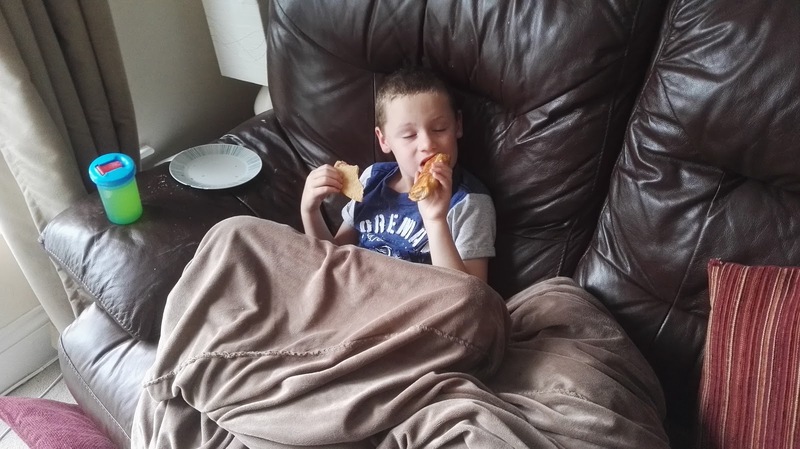 You see, my son quite likes on a Saturday morning to go to the bakery for some sort of biscuit - today it's a dinosaur biscuit - and while we're there, it seems churlish of me not to partake in something, after all I must have burned at least three calories walking there, and I wouldn't want to risk fainting with hunger on the way back. So, I decided that a sausage roll might be nice. The trouble is, you can't just buy one sausage roll. Technically, yes, I suppose you could, but when the price for one sausage roll is in the region of £15,000 each, or four are on offer for just £1, you get four. But what do you do with four? They are provided hot, or at least warm, from being cooked this very morning. Over time they will become less pleasant as they cool. So it makes sense to eat them all up. But is four sausage rolls excessive, as a mid-morning snack? One is absolutely fine, and two is a good amount I would suggest which indicates that you are going to be involved in some form of physical labour (knocking down a wall, perhaps, or stopping a car rolling down a hill with nothing more than your burly muscles and iron will) and therefore in need of the energy provided by two sausage rolls, but more than two is excessive, however tasty and warm they are. Then I realise, wonder of wonders, that it is actually twelve o'clock - that means that they can be classed as lunch. And whilst four sausage rolls might be considered unusual for lunch, it's not absolutely ridiculous. Except my son has now paused the consumption of his biscuit to have a go at the remaining sausage rolls. Very funny post. I like your way of thinking. No, indeed, sausage rolls are not a thing here, but you described them fairly well and they sound delicious. I may have to go a long way to find one, as in "across the pond." :) Or maybe some specialty shop might offer them. They're well worth a try Susan, especially freshly baked. You can buy frozen mini sausage rolls here in bags for buffets, but they're not as nice. It's really interesting to read that they're obviously familiar with sausage rolls in Australia, yet not in the US!